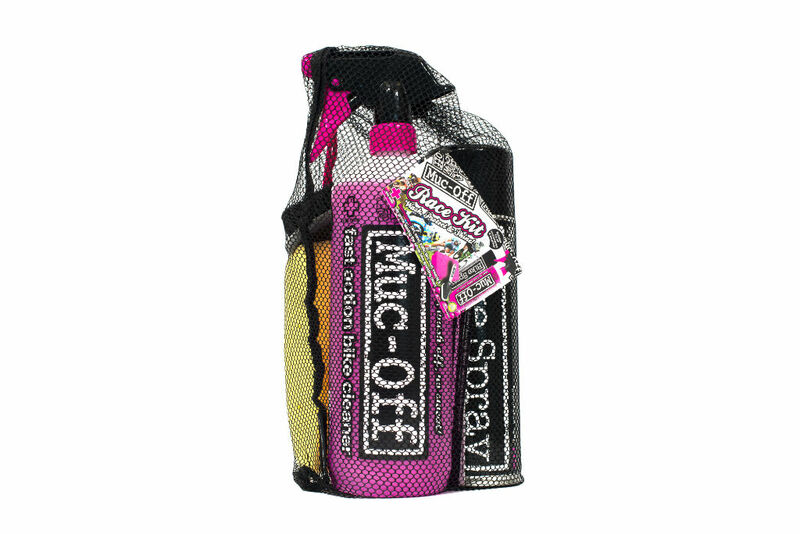 We’re big fans of Dorset based company, Muc Off. Their products aren’t too expensive, they do the job and can be used for cycle, bike, scooter or car cleaning – so ‘like‘ or ‘follow‘ us and win some goodies. 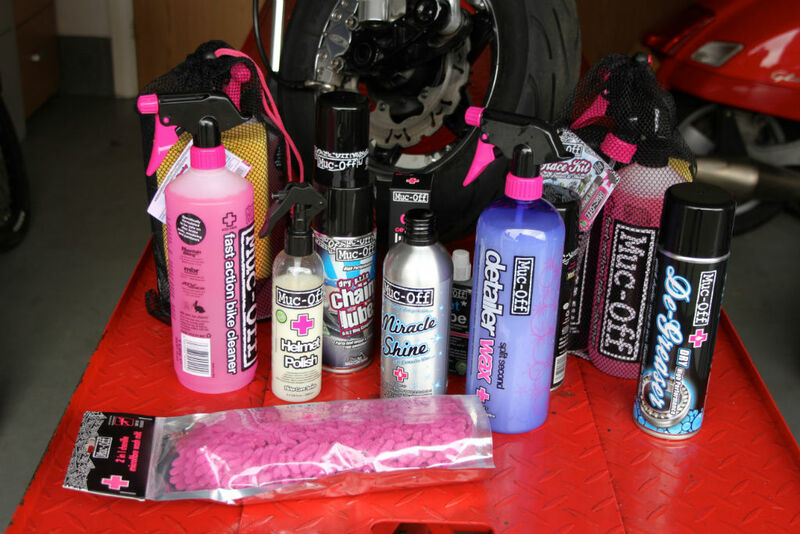 Most of the Muc Off range is for use on any vehicle so once you’ve bought some you can use it on everything. They’ve recently introduced a couple of new polishes, Split Second Detailer Wax (£7) and Miracle Shine (£16). Both products make waxing a simple and quick job and give fantastic results, personally I prefer the Miracle Shine, which comes in a screw top bottle (rather than spray) because it’s easy to put it on with a cloth without wasting any. 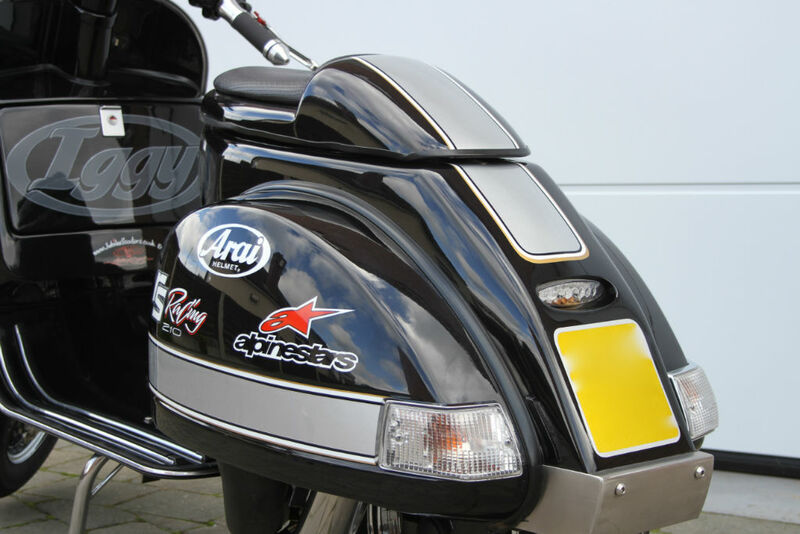 It couldn’t be easier to use, just clean your pride and joy with the Fast Action Bike Cleaner, dry it off and then give it either a spray with the Detailer Wax, or wipe all over with Miracle Shine and polish it off with a microfibre cloth. 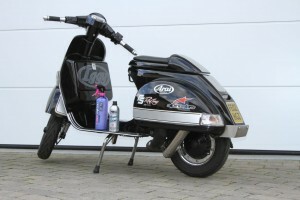 It took less than five minutes to polish my old Vespa PX to a showroom shine. No smearing, no fuss. Muc Off just does exactly what it says on the tin and leaves the machine sparkling and your garage smelling nice and fresh. 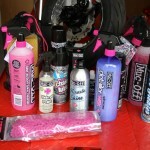 All Muc Off products come well recommended by us. 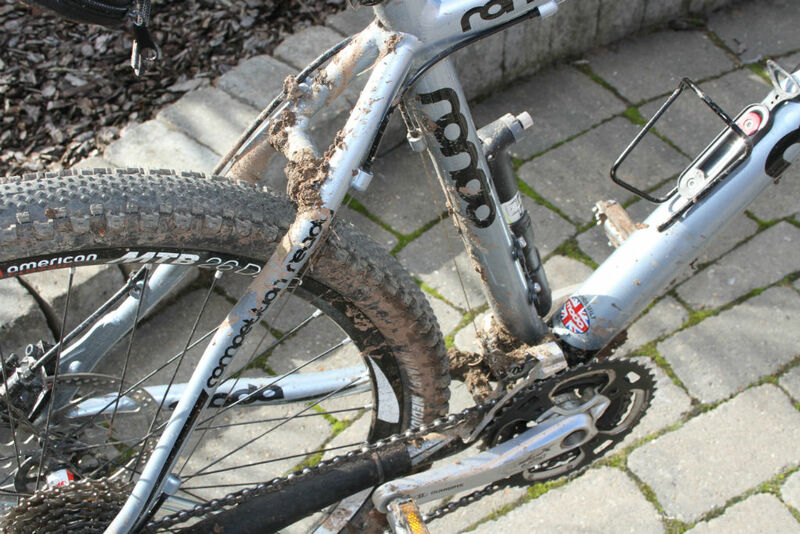 Mountain biking at this time of year is a mucky job but a quick hose down, a spray with Muc Off Biodegradable Fast Action Bike Cleaner (£5.50) and a rub with a sponge and bike brush brings your bike back to how it should look. 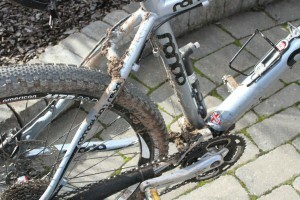 The new Muc Off MO-94 spray (£8) is a good way to finish off the wash; it acts as a water displacer and PTFE lubricant. Muc Off have kindly given us two of their excellent Race Kits, worth £21 each to give away. 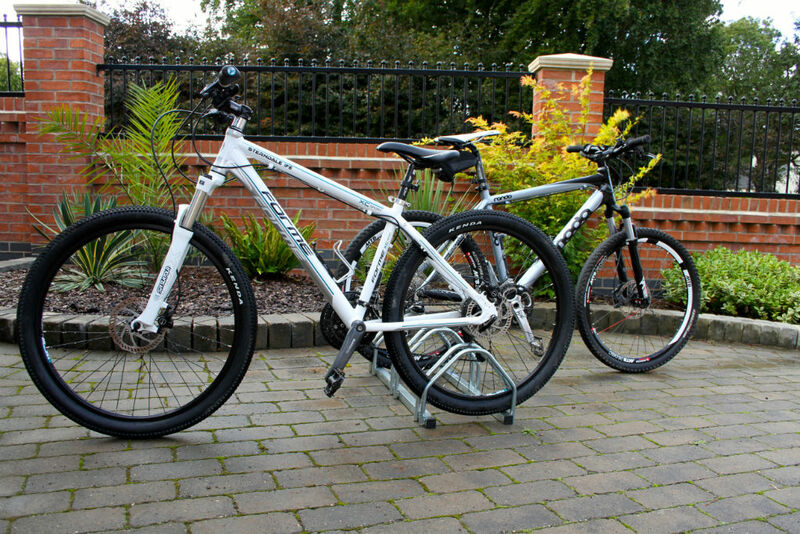 To be in with a chance of winning one all you have to do is ‘like’ 2Commute on Facebook or follow @2Commute on Twitter. All new Likes/followers between now and November 1st will be put in my crash helmet and two names will be picked at random (one from Twitter, one from Facebook). How easy is that?